Paintball games are an exciting and fun hobby for many people. If you would like to get started, you might be looking for the best fields to play paintball. 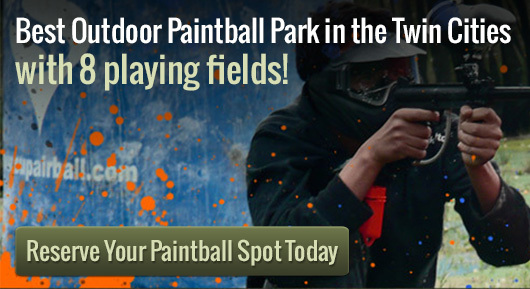 Action Packed Paintball as a friendly and knowledgeable staff who knows just what many players are looking to experience. We have set up extensive areas for hosting tournament play, which is appealing to teams. If you haven’t tried this set up before or you do not have a large group to play with, you may want to think about whether you can join as a walk-on instead. Some people will be glad to know that they can make reservations at nearly all times during the year. If you are unable to play at our outdoor fields, we have an indoor field in Minneapolis as well. There are quite a few different players who enjoy playing paintball during the summer months. Make sure that your team books ahead, since some of these slots may get filled up quickly. This is especially true if you have a large group. The friendly staff here can help you book the right paintball games that will be fun and exciting for everyone that is involved. There are a number of advantages to booking with Action Packed Paintball Games. Our staff is helpful and accommodating for any event that you want to host here. You can even get paintball refills or get a CO2 canister recharged while you are here. Everything you need to play is available for rent. Our customers appreciate our extensive courses that are set up. This adds a certain level of challenge to everyone that is involved in the match. It also provides for some fun and interesting variety. We can support nearly any sized here at Action Packed Paintball, even private parties of over 100. We are capable of running exclusive paintball games 7 days a week, from sun-up until sun-down. Remember to call us at 952-492-6776 in case you have any questions or if you would like to book a time. Please get in touch with us as soon as possible, as advanced reservations are required.